One of the questions that always comes up when discussing a new operating system is how much it costs. Windows is now the only modern operating systems that charges end users, with Apple making up for the cost by selling hardware, and Linux and Android distributed freely, but those sales make up an extremely small amount of Microsoft’s revenue. That’s only why Microsoft has made changes to its business model with the release of Windows 10, and most users will have no issues securing their copy of Windows 10 for free. If you’re currently running Windows 7, 8, or 8.1, and your license is authentic and registered, you can upgrade to Windows 10 during the first year of release for free. According to NetMarketShare, roughly 14.6 percent of the world’s computers run XP, plus another 2.01 percent are still running Vista. That number is down 11-percent total from where it was last year. It also means if you bought, or buy, a computer that comes with Windows 7, 8, or 8.1 installed, that machine is eligible for a free upgrade to Windows 10. You can update right from the taskbar using the Windows 10 reservation tool that’s already installed. Almost no one will need to buy a copy of Windows 10, but there are some exceptions. If you build your own computer, or you haven’t even made the jump from Windows XP or Vista yet, you’ll need a fresh copy of Windows 10, and one option is to buy it. There are two editions for the average consumer to choose from — Home and Pro. Even though Windows 10 technically has seven versions, it drops the confusing array of features that were disabled in a number of them. This time around, Home is actually a well-equipped operating system for most users, while Professional enables new features that are just that – intended for business environments. The other five versions are explicitly aimed at other uses, and many aren’t even easily available to home users. This time around, Home is actually a well-equipped operating system for most users. The cost is roughly the same as it was for Windows 8 and Windows 7, with the Home version costing $119, and the Pro costing $199. That’s been the standard for Windows sales for quite a few iterations now. If you decide to upgrade to Pro, which you can do when you purchase the OS, or later for $99, you’ll get a few extra features that are targeted at professionals and small businesses. There are increased network and domain connectivity options, as well as remote access and BitLocker drive encryption. There are also features for better management of multiple systems, and you’ll receive Windows updates targeted at Businesses as well as at standard users. Unlike previous versions of Windows, which were available in retail and OEM versions, this time around they’re one and the same. The difference was that the OEM versions were only supposed to be sold if the customer was also buying the parts to build a computer, and the registration was tied to the motherboard. Now the registration details are tied to your Microsoft Account, so logging in on a new system will activate, or not, accordingly. If you want Windows and you don’t want to pay, the Windows Insider program is slated to continue indefinitely after the July 29th release date. If you choose to opt into the Insider program, your system will update like normal as new pre-release builds are pushed out to both slow and fast ring users. It’s not technically an authenticated copy of Windows 10, but it functions in exactly the same way, except for the updates and bug fixes. The key difference is that Windows 10 Insider Preview builds don’t last forever. Although Microsoft hasn’t outlined expiration dates for recent builds, the previous builds indicate that it takes about six months without updating to reach the warning point. Two weeks after you start seeing warnings, the system will shut down randomly. Two weeks after that point, it simply won’t boot anymore. However, if you continue to receive regular updates to the operating system, you won’t have to pay for a license. You can just use the newest versions when they come out. We’ve been using these ever since they started rolling out, and in the past couple of months they’ve become a lot more stable. After the official release, it’s likely the Insider Preview builds will have sporadic bugs, but will otherwise be ready for daily use. 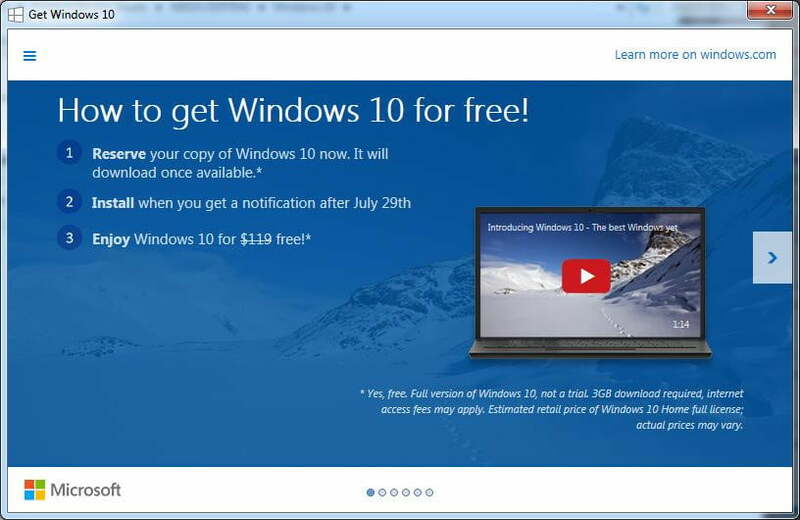 Microsoft isn’t hiding the fact that you can effectively use Windows 10 for free. Whether through pirating or other retail loopholes, users who don’t want to pay for Windows will find a way not to. The Insider Preview looks like a move by the software giant to bring those people into the fold regardless, and focuses on revenue from consumer licensing, rather than the small amount gathered from end users buying the OS. If you already have a system running Windows 7, 8, or 8.1, it’s worth redeeming your free upgrade to Windows 10 and at least trying out the new OS. If you’re planning on building a system, there isn’t any clear reason to buy a copy of Windows 10. The Insider Preview builds will not only satisfy the needs of home system builders, but also provide some insight into future software developments and OS upgrades.